So, two weeks with the Conjure Cognac. How are we feeling about it? Overall, we like it. There are some caveats that we offer up, however. If you are an experienced cognac drinker this isn’t for you. It has a lighter, brighter flavor than some of the other cognacs that we’ve sampled in the past. This makes it the ideal cognac for BEGINNERS. If you’re inexperienced in the cognac world, you’ll want to dip your toes into the water with Conjure Cognac. It’s very smooth and very light, descriptions that you don’t often find with the longer-aged cognacs. That is to say it’s good for beginners if you’re only drinking it neat or on the rocks. 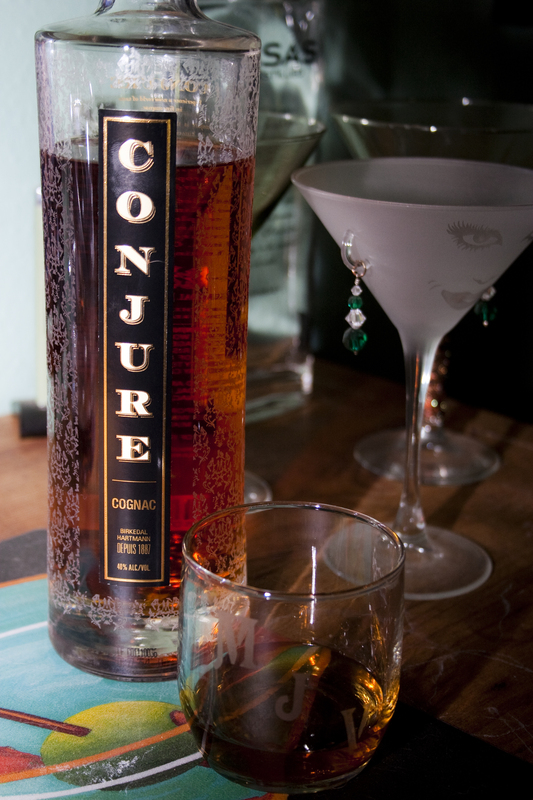 When placed into cocktails, the Conjure takes on another life of its own. It doesn’t weight down some drinks that a stronger cognac would, however, it still has enough of an “oomph” to really shine through and compliment the mixers rather than being overwhelmed by them. Buy this if you want to get into cognac and aren’t quite ready to make the jump to the big boy leagues, or if you can’t justify using that ultra-aged Remy for cocktails, then bust out some Conjure for your cognac-based cocktails.